Municipal employees may encounter adverse driving situations on a day-to-day basis. 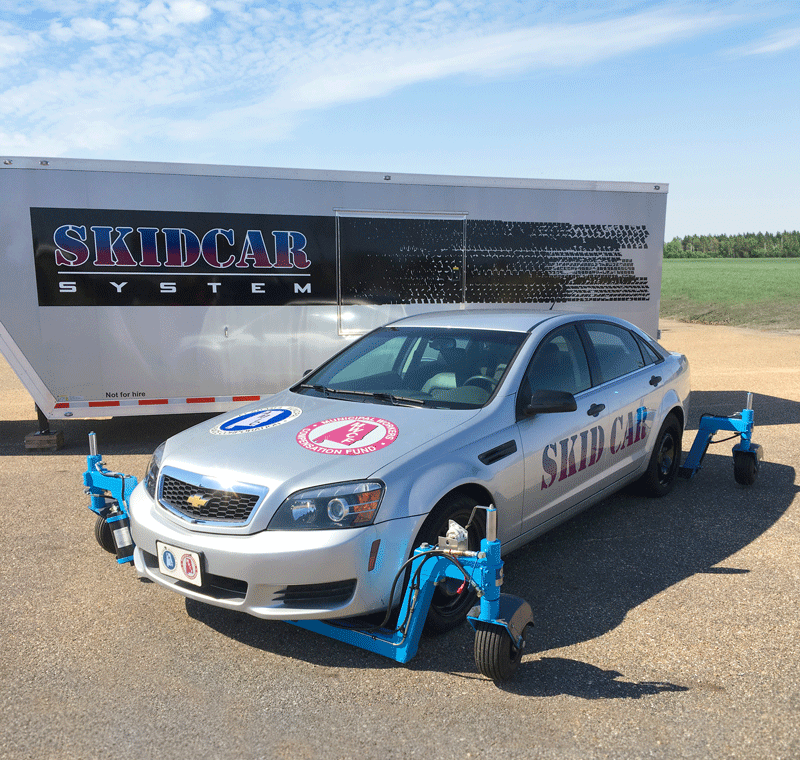 Through an advanced, computer-controlled driver training vehicle known as the Skidcar System, students are taught a program based on driver discipline while experiencing a range of hazardous driving conditions at much lower and safer speeds. Although originally designed for law enforcement, ALL municipal employees are encouraged to complete the program for their own driving safety. Training is conducted throughout the state at a minimal cost. Click on the video below for more information. NEW for 2019: This program has been revised to include updates to the SkidCar curriculum focusing on driver discipline, and the addition of the Automated Traffic Scenario Simulator (ATSS) to the practical exercise. The ATSS simulates real-world situations for driver training scenarios. 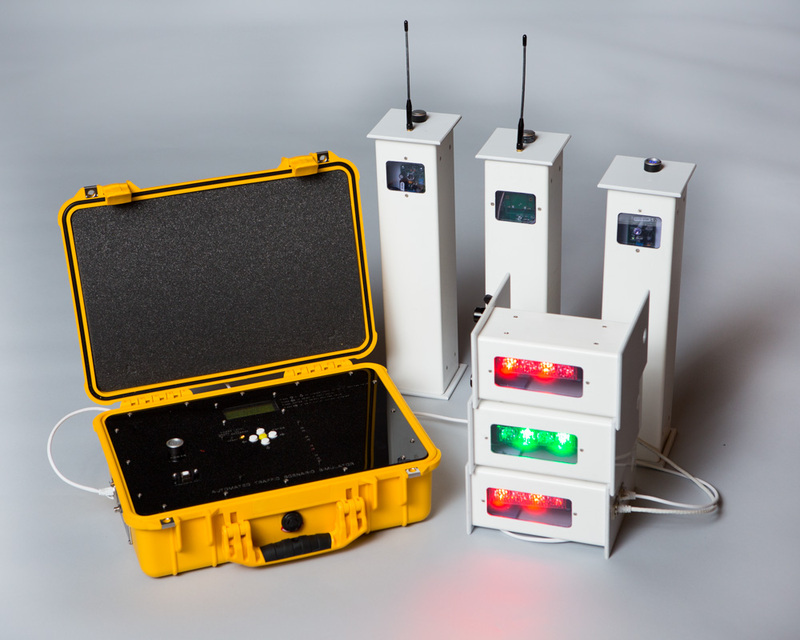 Using a series of red and green lights the ATSS simulates oncoming cars, cross-traffic, or stopped traffic, providing added realism to driver training scenarios. Clearing intersections while responding to a call is one of the greatest dangers of any first responder job. 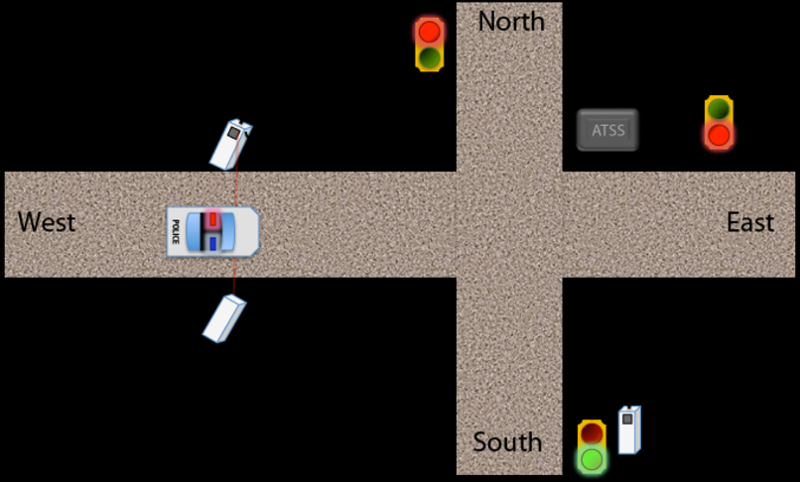 The ATSS is specifically designed to teach students how to properly clear an intersection. The SkidCar schedule for 2019 is below. Please revisit this site frequently as the schedule is periodically updated. Click on the location to register online. You can now pay online with your credit card. If you would like to host or schedule a SkidCar session in your area, please contact Donna Wagner at (334) 262-2566 extension 125.